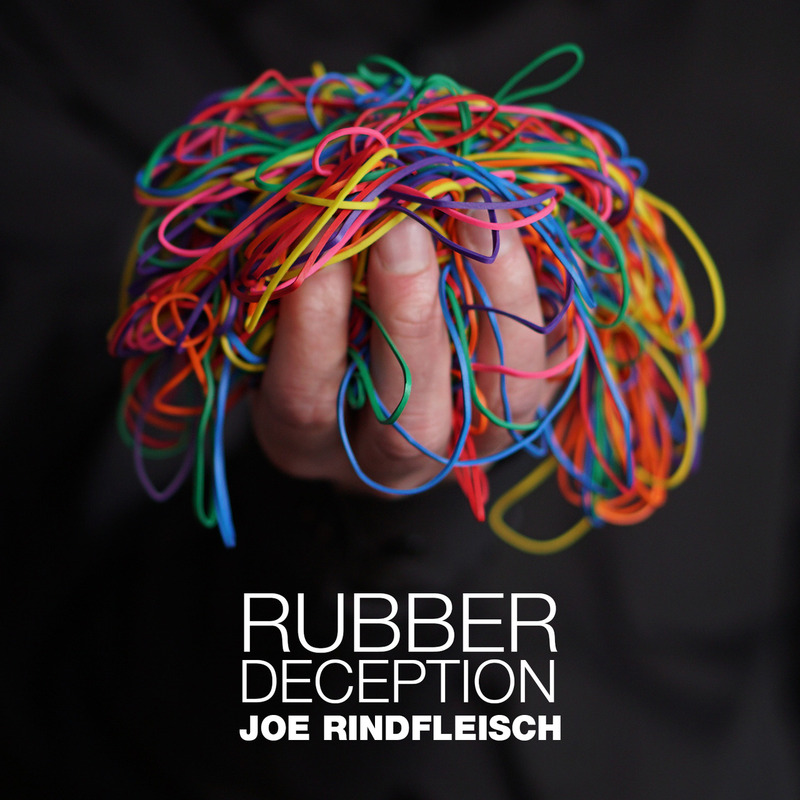 Today, when you order "Rubber Deception by Joe Rindfleisch", you'll instantly be emailed a Penguin Magic gift certificate. You can spend it on anything you like at Penguin, just like cash. Just complete your order as normal, and within seconds you'll get an email with your gift certificate. 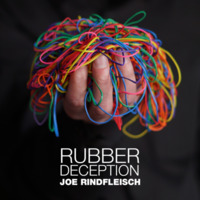 Rubber Deception by Joe Rindfleisch (Instant Download) The best rubber band discovery of the last 5 years. You'll feel like a beginner again. START LEARNING INSTANTLY. 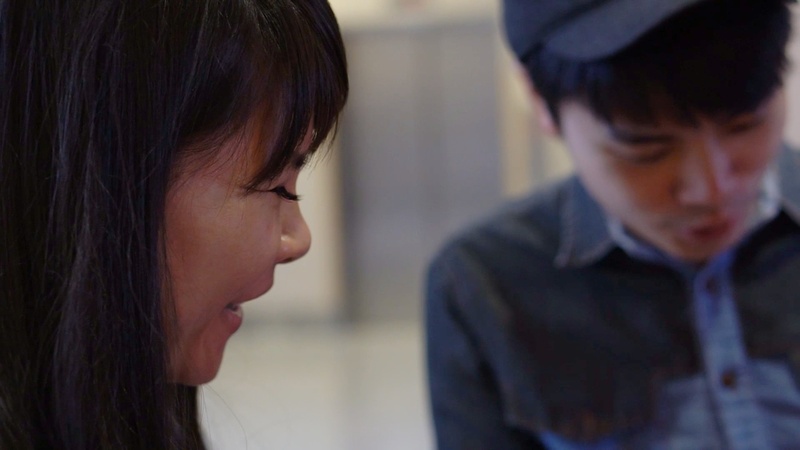 "I felt like a beginner again. THANK YOU, JOE!" Joe Rindfleisch discovered something new and wonderful. These tricks are so stunningly impossible and DIFFERENT, I didn't even know where to begin figuring them out. I was floored when Joe told me they all share the same principal. My brain just can't process it, I guess. 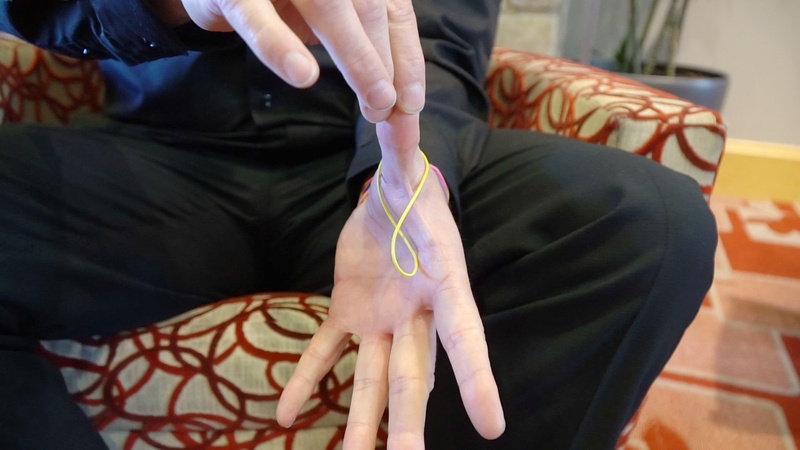 Joe Rindfleisch is the world's top rubber band magician, and for me at least, these tricks sealed the deal. 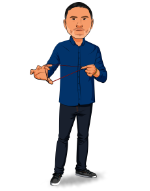 Joe's discovery will allow you to do a whole act with nothing but rubber bands. And the tricks... they're as good as it gets. 1. Make rubber bands jump from your hand to your spectators hand? Insane. 2. Make a rubber band jump from one persons fingers to another person's fingers, while they both have their fingers locked??? Yeah. 3. Make a rubber band fly through the air and pass through your thumb? I mean.. it's getting ridiculous but yes! 4. And as if that wasn't enough, you can also do the absolute best, smoothest band penetration you've ever seen. Bottom line, this is a show in a box. 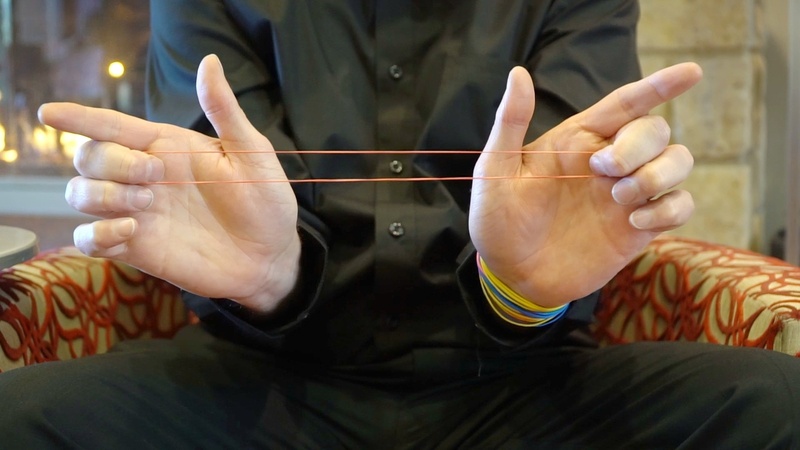 If you're ready to go all-in, this course will change the way you look at rubber bands forever. This is a great purchase. Really worth checking out. The thinking is sound - you can tell this is only the beginning of this methodology. It does use a reasonably well-known principle (Dan Harlan's Camouflage) so you should know that going in. But after watching this I've opened my mind to wearing a bunch of rubber bands on my wrist. Definitely, check this out. Joe's teaching is sound, his thinking is good and the magic is as good as you can see in the demo. it is something that one can do impromptu. yea i mean you should wear some rubber bands on your wrist... but i do not find that to be something hard to do. what i really like about it is the clean presentation and seemingly impossible jumps. When I saw the demo, I was floored. I love rubber band magic and immediately plunked down the funds for this. It was well worth it. The tricks are very easy to do and look unbelievable. One thing I'd like to mention is that, all the tricks revolve around a particular setup which requires wearing a rubber band bracelet. That's where a bunch of bands are together and carried around the wrist. It's no biggie but it is required. My favorite one is "thinking outside the box". It is unlike any jumping rubber band out there. It is quite visual and has spectator participation. It just seems so impossible - even when you know the secret. but once your fingers get accustomed to the position, I don't think it will be a problem. The set up is done right in front of the spectators and if done fluidly, they shouldn't suspect much. The angles are ok and once you're in position, the angles become much better. I also suggest getting Joe's rubber bands - they stretch well, are colorful, and last longer. There is a single basic technique, easy to master. Opposed to other setups, this can be made to really look convincing, just your way to take a band of the wrist in a basic position. Then you can do 3 basic effects with variations that are all better looking than anything else at the level of complexity. Among Joe Rindfleischs Videos this is also the most accessible I believe. Fantastic Value for money. My title says it all. These moves are so clean they squeaks! This topological band work fools me even as I do it. Where has this awesome set of moves been my entire magic career? I wish someone had invented and shared these concepts sooner. Get it. Learn it. Love it! I would rate this as one of my all time favourite tricks. It requires a set up that will take practice, but once you have it down, this is spectacular. A visual treat and just mind boggling. A rubber band can clearly be blocked in by one spectator, no escape, and it can travel to another spectators finger. This is wild stuff. Absolutely genius. A must have for any worker. This is great material, and a lot of fun to perform. As a professional educator, I have to say that Joe Rindfleisch is a phenomenal teacher. He is very clear, and his directions are easy to follow. I had to watch the move a couple times before what he was saying clicked with what he was doing, but within ten minutes I was able to perform this. If you don't have his rubber band lecture, you should get it. At the beginning he goes over terminology and foundational understandings. Since watching it, rubber band magic has been easier for me to learn. You can learn this without the lecture, but I just found it super helpful. Took a couple watches to get the gist of the move but once I did, wow, it is a great effect. My wife who watches everything like a hawk, burning my hands FINALLY could not figure out the move. Bravo, Joe Rindfleisch, bravo!! Thanks Joe, great new stuff to add to my rubber band arsenal. Will definitely use the vanish for that other brothers trick when theirs might be a little too risky!